Enjoy Watching Birds Feather their Nest! You will enjoy watching birds flock to your yard as they pull bits of alpaca fleece out to line their nests. 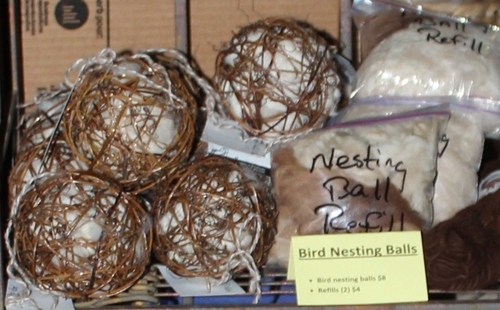 These nesting balls make fun gifts too! Alpaca fleece refills available as well at $4. Display your love of alpacas!